The brief here was: "What does Google's version of a mall santa look like?" 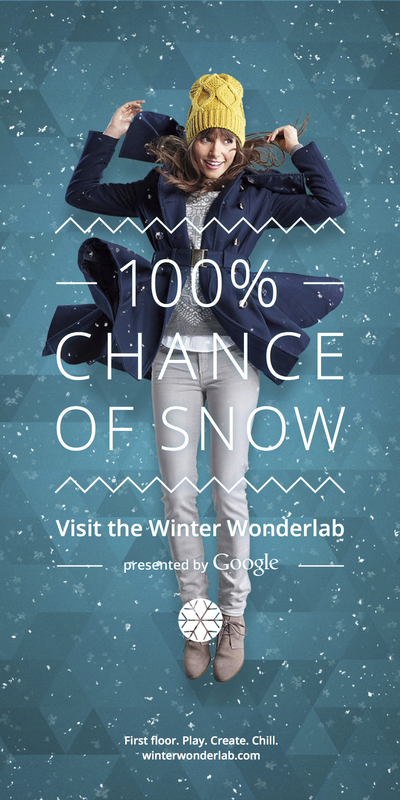 Our answer was the Winter Wonderlab. Its central feature was a 15 foot snow globe with a phantom camera inside mounted on a robot that did a 160 degree camera move in under a second, timed to also include artificial snow blasts. This physical experience had plenty of Googly digital components—like a custom app by Unit9 for a "lineless line," NFC-card equipped "snow passes," and Nexus tablets running the show. I was the lead writer on the project, which meant: naming the experience, writing a custom app, OOH headlines, and a microsite. Agency: Autofuss. Cannes shortlist. OOH posters, banners, cling, etc. Placed near Winter Wonderlab locations, like Bryant Park. 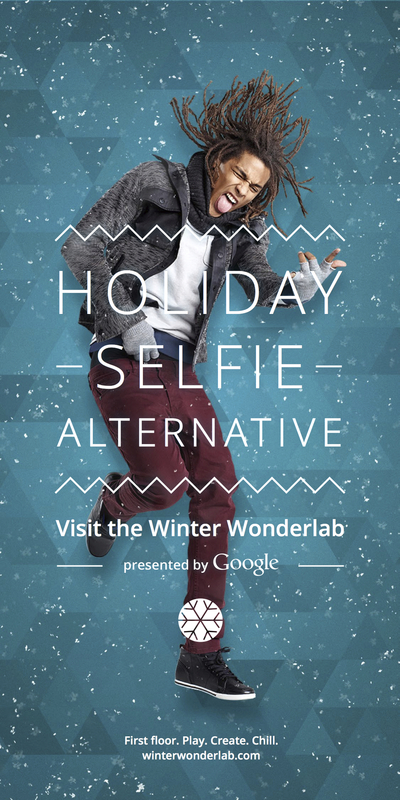 Click here for the Washington Post's Winter Wonderlab coverage.